BENMAR Fabrication is proud to announce the addition of our new Machining Division. Please contact Dan Miller or Adrian Roskom for more information today! BENMAR Fabrication recently finished the Dream Fleet used at the Green Bay Packers training camp. The Dream Fleet is five special bikes that incorporate themes that celebrate Wisconsin's rich heritage. These bikes are provided by the Packers and American Family Insurance. Each year kids have the opportunity to ride the special bikes to practice with the players. This year, BENMAR Fabrication helped fabricate five bikes! See the photos below for the final product! BENMAR Fabrication is seeking a skilled and qualified welder to join our team full time. Now Hiring a Water Table Operator! 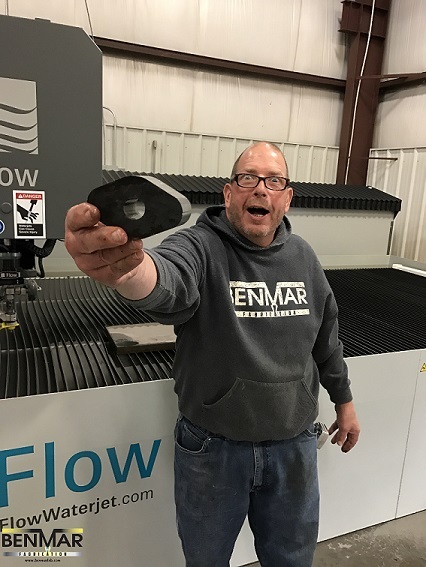 BENMAR Fabrication is looking for a qualified candidate to operate our water jet. This candidate should have experience with a similar cutter (laser, plasma, ect). Prior forklift experience and experience in the metal work field is ideal. - Unloading steel trucks, shearing, sawing, sanding, bending, packaging, tapping, and any other needs that could arise. 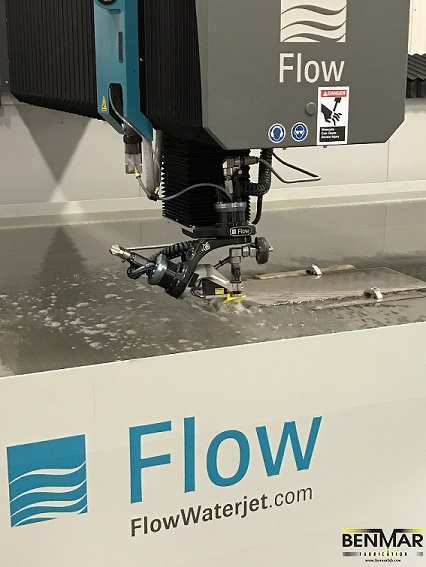 BENMAR has installed a new Flow waterjet to provide additional services to our clients. 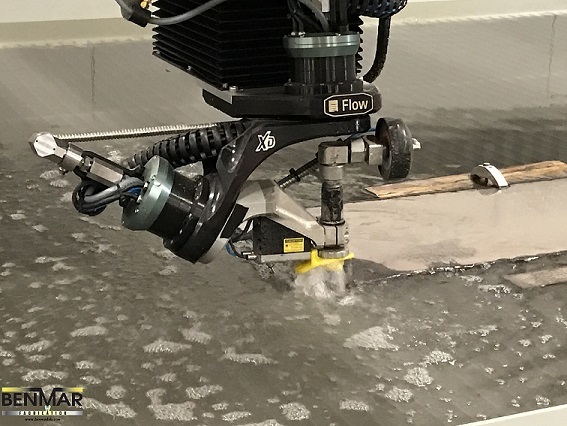 The table features the Dynamic XD articulating cutting head - allowing us to provide beveled and 3D parts.